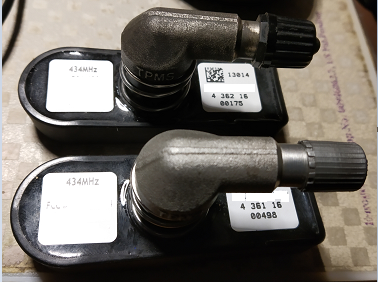 Just be aware that the "newer" batch of TPMS units cannot have their batteries changed, but the earlier units can. The new ones are sealed, probably to avoid "tinkerers" like us trying to save £100 by buying a £2 battery. The new sealed ones are replaced the same pile as the previous ones (not sealed) there is no problem in either of the two types. Only motorcyclists know why dogs stick their head out the car window. I think the sealed ones are going to take a bit more care and time to dig the sealant out and find somewhere to solder a tail onto! worth it to save £100 per wheel IMHO. 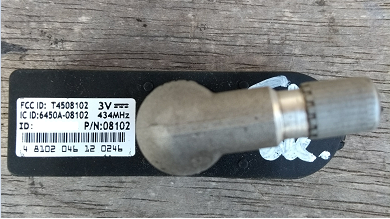 Is there a way of telling if you have the newer or older type just by looking at the valve whilst the tyre is still on the wheel? 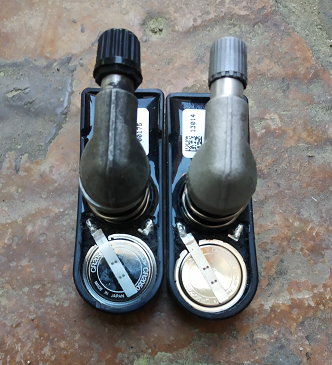 The dust caps on mine look like the valve on the right of that picture for example,....obviously a dust cap could have been just been swapped over etc so can't rely on that if that were the only tell tell sign from the outside. Not without disassembling the tire. The valves look the same. OK, which one is that then? How can you tell the difference?? That is the old one, the one that is not sealed.